Simply gorgeous pretty pastel bracelet full of retro charm. This beautiful bracelet captures retro charm with subtle tones. 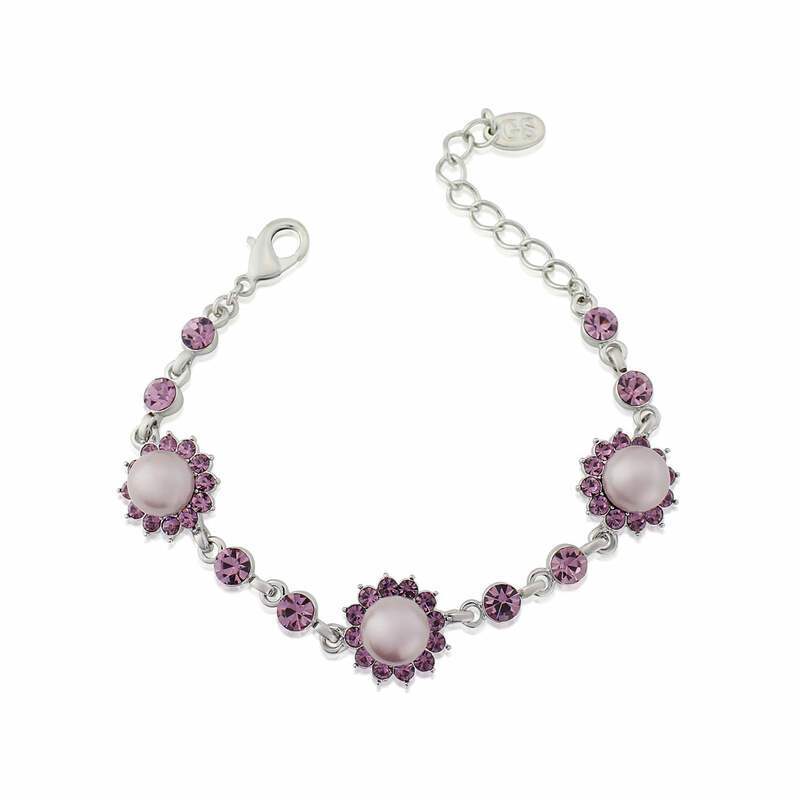 Featuring three adorable light dusky mauve pearls surrounded by pale amethyst crystals to provide the floral elements, Haze of Amethyst Bracelet comes alive with delicate crystal links set on silver tone. Perfect to wear with our coordinating Haze of Amethyst Earrings and Pendant, this gorgeous piece will add Rockabilly style to a pretty summer tea length dress or add a touch of elegance to a flowing maxi. A divine wedding theme, amethyst is perfect for both brides and their maids. Accessorise a vintage style gown of ivory or compliment purple tones for 1950s retro flair. A fabulous bridesmaids gift for your much loved attendants which will be adored on your Special Day as well as for years to come.